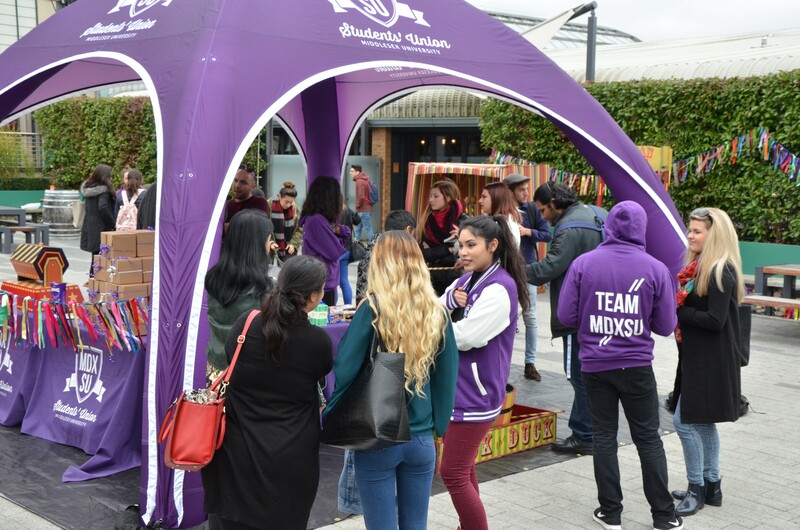 Middlesex University Students’ Union (MDXSU) is an independent charity led by students for students; supporting the thousands who study here on campus in North London. Enabling our award-winning work is a talented, dedicated, passionate staff team, striving to make MDXSU the most innovative, inspiring and inclusive students’ union in the UK. Working in a values-driven and dynamic organisation is a truly rewarding experience, with flexible working arrangements and a significant commitment to personal development - 88% of our staff feel positively engaged in our work, and 100% believe that our organisation treats people equally. Since 2013, we have also been an accredited Living Wage employer, meaning everyone who works for us will receive the London Living Wage. You can read more about our committment and support for the Living Wage here. Full-time roles will be listed below. If you are interested in applying, please complete the forms below by the deadline stated. Once completed please email these to recruitment@mdxsu.com. If you are interested in applying, please complete the forms below by the deadline stated. Once completed please email these to recruitment@mdxsu.com. For any POW! Media applications, please find instructions in the document related to the position you're interested in. MDXSU are seeking student photographers and/or videographers to help capture our events and campaigns throughout the year, including our clubnights. You must be friendly and confident, and be comfortable approaching groups people. TO APPLY, please email Camelia Purwanto at c.purwanto@mdx.ac.uk, outlining your interest in the role, alongside your CV and portfolio/links to previous work. Ideally these examples should illustrate your experience in working in nightlife environments. MDXSU are seeking student performers, bands, DJs, comedians, musicians and other creative talent throughout the year. Some of these opportunities are paid, however we can also advise you of unpaid opportunities to showcase your work. TO REGISTER YOUR INTEREST, please email studentevents@mdx.ac.uk with your full name and information, examples of previous work and relevant experience, and the type of opportunities you would be interested in. Keep an eye on our Community Placements for paid internships roles with our partners in the local community.